The Phillies agreed to terms to 2016 No. 1 overall pick Mickey Moniak on Monday afternoon. The recent high school graduate will be introduced at a press conference at Citizens Bank Park on Tuesday. 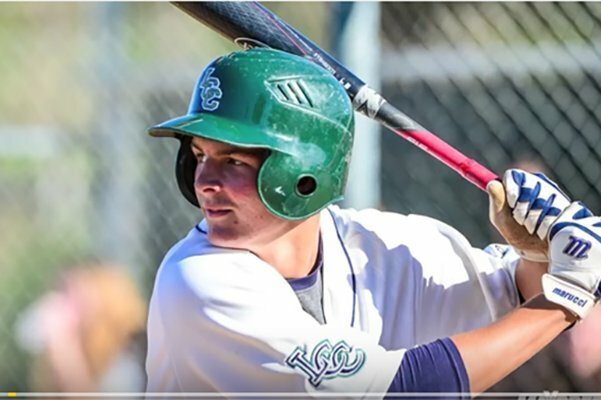 The Phillies are close to reaching the finish line on signing the top three picks (all high schoolers) from last week’s amateur draft: first-round outfielder Mickey Moniak (first overall), second-round right-hander Kevin Gowdy (42nd overall), and third-round infielder Cole Stobbe (78th overall). General manager Matt Klentak was asked if he expected to have all three under contract before the team departs for nine-game road trip on Monday night. Moniak is expected to sign under slot, which was obviously part of the Phillies thinking in using the second largest bonus pool in this year’s draft to secure multiple, high-ceiling players in a draft class that lacked an obvious consensus No.1 overall pick. If Moniak signs in the neighborhood of $5-7 million (last year’s No. 1 overall pick Dansby Swanson signed for $6.5 million), the Phillies would obviously be using some of the savings from that slot (the recommended slot for the No.1 overall pick is just over $9 million) to secure both Gowdy and Stobbe, keeping them from their college commitments. Like Moniak, Gowdy is committed to UCLA. But unlike Moniak, he isn’t expected to be as easy of a sign. The slot value for the 42nd overall pick is $1.5 million. If the Phillies could inch closer to $3-4 million – which is possible with the savings they can expect in the Moniak deal – they could probably convince Gowdy to sign. The slot value for the 78th overall pick (Stobbe) is $813,000. The Phillies will likely get closer to $1 million to secure Stobbe. So will the Phillies be announcing they’ve come to an agreement with all three in the very near future? Klentak spoke for more than 15 minutes on Friday afternoon on a variety of topics, including the situation at first base and why he believes that there really is no issue with Ryan Howard as a permanent member of his bench. Klentak: Not especially. We play 162 games for a reason. We know that we’re going to have our ups and we’re going to have our downs, and that’s going to be true of every team. Obviously, the last few weeks have been tougher than the first few weeks of the year, but I think we’ll come out of it and hopefully it’ll begin tonight. I think our players give me faith. I think we have players that play hard and I know we haven’t pitched this week quite as well as we’ve been pitching but our pitching’s going to allow us to come through it. We’ve got hitters, some of whom are starting to come out of it. I think we’ll get it going. I think Maikel is a very talented player and he too is very young and still developing. We’ll see flashes from him defensively where he’ll make All-Star, Gold Glove-caliber plays and other times when he’ll miss a routine one. That’s not uncommon for a 23-year-old who is in the big leagues. At the plate, we’ll see him go through stretches where he’s tearing the cover off the ball and carrying us through a series and a stretch where he starts to overswing. Again it’s not uncommon for a 23-year-old in the big leagues. I’m very impressed with the way he handles himself at this level with his work ethic. At the end of the year I’m fairly confident his numbers will be there, but like with everything else we’re going to have to ride some ups and downs with players and team performance. That’s just what happens in a 162 game schedule. Nick is 22-years-old in Triple-A. He and J.P. (Crawford) both are among the youngest in that entire league. It’s part of development. Part of development is learning how to hit breaking pitches and work counts and play defense -- there’s a lot of factors in it. But one of them is learning how to play professionally. … I don’t think there’s going to be an issue there at all. (Lehigh Valley manager Dave) Brundage is handling it very well and Nick is handling it very well. I think it’s going to be water under the bridge. Nothing's imminent with that. Obviously, he's having a heck of a season at Double-A. He's opened a lot of eyes with that. But for most of these guys we want to give them, if we can, a full year's worth of at-bats at certain levels and I think Dylan could stand to have some more time there. But as you've heard me say before sometimes the players put us in a position where we have no choice. They're just performing so well, we have no choice but to promote them. I don't think we're quite there with Cozens just yet but he's absolutely having a heck of a first half. He's making progress. We shut him down for a period on purpose to let the inflammation die down and now we're going to start building him back up. He's been down for about three weeks now and we knew going into it, whatever period he was shut down he was probably going to need roughly that amount of time to build back up. If he starts back up within the next week, it's probably going to be another three to four weeks before we see him back out in a game. … There’s nothing serious going on with his shoulder. I don't know about that. But I agree that for Roman, the most important thing this year was getting the reps, getting the at-bats back that he missed last year. He was off to a good start in that department and now he's hit a little bit of a setback with the injury bug lately so we'll see. But this is his first year on the roster, his first option year. We have plenty of time with this kid, but ultimately he's going to need those at-bats before he's ready to move to the next level. He's making progress every day. We just have to build back his strength. But again, I think we're still on the same timeline we were before. But he's been swinging, hitting in the cage and has had no setbacks. … We haven't pinpointed an exact date yet (for a rehab assignment). How his wrist feels is what will ultimately dictate that. I would expect once he begins a rehab assignment he's going to need the majority if not all of the time there to get the reps back that he obviously missed through the first course of the season.